As part of Energy Farmers Australia’s building biochar capacity project, we are looking at the options to get biochar back into the soil in Australian agricultural systems. Biochar is hard to handle as it’s powdery so it does not spread well. It takes a lot of processing to get it into a form (granulation and pelletising) that can utilise farmers existing equipment. While char does not spread all that well, it will be an option in broad acre cropping systems where farmers are using mouldboard ploughs to reduce the impact of non wetting sands and resistant weeds. Spreading the char and then ploughing will bury the char up to 400mm underground and looks to be a very simple yet effective way to incorporate the biochar. Spreading and ploughing will work well on sandy soils however will not be applicable on soils that mouldboard ploughs cannot be used. So we need to look at other options. We have teamed up with Wayne Phillips and his new machine the New Horizon Subsoiler Extruder. Subsoiling involves adding a medium (e.g. water) to biomass, in this case char and deep banding it into the soil. 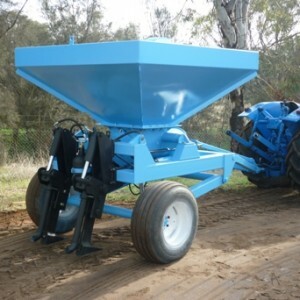 The subsoiler can handle a range of biomass from manures to straw and will open up myriad of opportunities to blend char with different feedstocks, potentially offering an alternative to traditional fertilisers. While the subsoiler is still in development stage we are very excited about its potential. 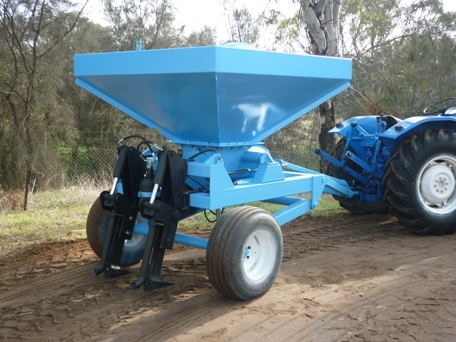 We will be trialling the subsoiler this season with biochar and other forms of biomass. Here’s a sneak peak of what it can do, stay tuned for updates.